It’s the one and only Gazillion Bubbles. This top secret “super solution” has been formulated to create the biggest, brightest most colorful bubbles on earth. Each 32 oz. 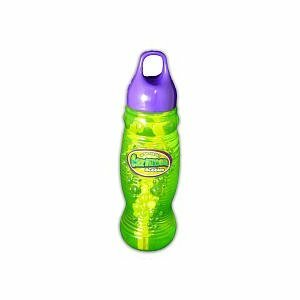 bottle of Gazillion Bubbles solution comes with a specially designed 7-in-1 bubble wand that easily snaps into the cap. With Gazillion Bubbles and the multi-bubble wand, you’ll run out of breath before you run out of bubbles!